Guild library videos are a long standing tradition with the Guild. 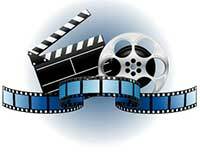 What began as a lending library documenting many Guild demonstrations and lectures at general meetings, subgroup meetings and symposia presentations, was eventually converted from VHS tapes to DVD format and now uploaded to a steaming online service. The content of this library is truly a treasure. These are not studio quality videos. They are recorded under shop conditions with all the variables you might expect. However, the sound quality of those posted are quite good. The topics covered over the years are many and hosted by some of the best and most talented woodworkers. You will find demonstrations/lectures by Garrett Hack, Mike Dunbar, Terry Moore, Jere Osgood, Jon Siegel, Matt Wajda, Terri Masaachi, Wayne Marcoux, Al Breed, Al Stirt and many more. The Guild began recording major demonstrations beginning as far back as 1991. Peter Bloch was the driving force behind this early effort and throughout our history. The recording and playback technology has evolved in significant ways over the years. The original recordings were made on Regular-8 analog tape followed quickly by Hi-8—both were analog tape recordings. A switch to Digital-8 came around 1998. Both the Hi-8 and Digital-8 were actually the same kind of tapes, but Digital-8 used twice as much footage per minute of recording but was MUCH higher quality than the analog Hi-8. Our first HD camera recordings came in 2010. However, even after we got the HD camera, we were recording at resolutions that might have been a little less than HD quality. There is no tape involved in HD recordings of course, just a removable digital memory chip. 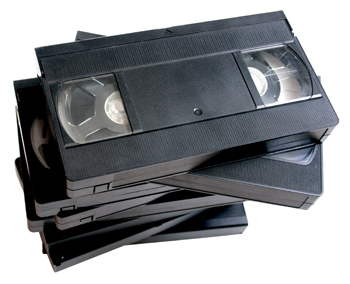 Distribution in the VHS format was through a library sign-out system at most general meetings. We had very bulky cases for moving these cartridges around. It was really a pain. These tapes were converted to DVD around 2002. It was a big job. Peter did it while recovering from knee surgery. With the advent of Internet broadband communications, most members are able to stream videos now. YouTube has become popular and most people are familiar with watching a video on their computer. Therefore, the Guild has now moved the remaining library to a video hosting company (Vimeo) which allow us to embed and stream or download for later viewing on our computer. Some members may have the ability to mirror what is on their computer or mobile device to their big screen TV. We’ve taken this one step further by categorizing and embedding these videos here. Link to Video Library. For those who may not be able to stream or download a desired video, you will be able to order a video on a USB memory stick. These will be by request only.